Compare, save and get affordable car rental in Southern Africa. Unlimited mileage, for your next road trip holiday. Drive South Africa gives you excellent car rental value with low rates, a professional service and the freedom to explore Africa. Affordable car rental in Southern Africa is Drive South Africa’s specialty. As a car rental company we offer an extensive range of vehicles across our car rental network, catering to local and international customers. Our range extends from budget car rental to luxury car rental, for short term or extended long-term car rental in Southern Africa. Drive South Africa online car rental offers only low mileage and late model vehicles, available through our easy to use online reservation system. Car rental reservations are made by Drive South Africa on your behalf, ready to collect from the specified destination on time. Drive South Africa’s association with established and reputable car rental companies ensures you receive professional after sales service and are covered for any eventualities requiring roadside assistance and have access to multiple pick-up and drop-off locations throughout Southern Africa. We cover all airport car rental and city car rental. You’ll never be far from a rental branch, or a collection and return location. Just because you’ve found cheap car rental in Southern Africa doesn’t mean you relinquish your right to comprehensive national assistance for break down cover or customer service, Drive South Africa ensures all its customers receive a professional and courteous service. As an online transport provider, Drive South Africa offers a comprehensive range of choices covering unlimited mileage, numerous drop-off locations and a selection of car insurance options to enable you to find the best package to suit your budget when traveling Southern Africa. Car rental insurance through Drive South Africa offers customers a choice of standard insurance cover and super insurance cover on all vehicles and a zero insurance excess option on our most popular vehicles. Self-drive holidays allow travelers to explore at their own pace, without the constraints and timetables of a scheduled tour. Drive South Africa promotes discount long-term vehicle rental and monthly specials to facilitate extended self-drive holidays through Africa. Our website has details of seasonal specials, airport rental deals and off peak rental rates so that cheap car rental, South Africa, can be easily organised. The best car rental rates is just a few clicks away. Africa is a 4×4 enthusiast’s playground with limitless opportunity for off road adventure. 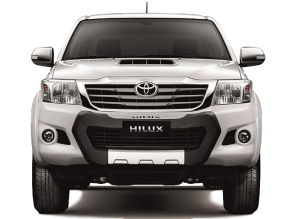 Drive South Africa offers a broad range of 4×4 vehicles for rental in Africa and the best car rental rates. 4×4 rental can be provided fully equipped for up to 5 adults. We offer rates including and excluding camping equipment.